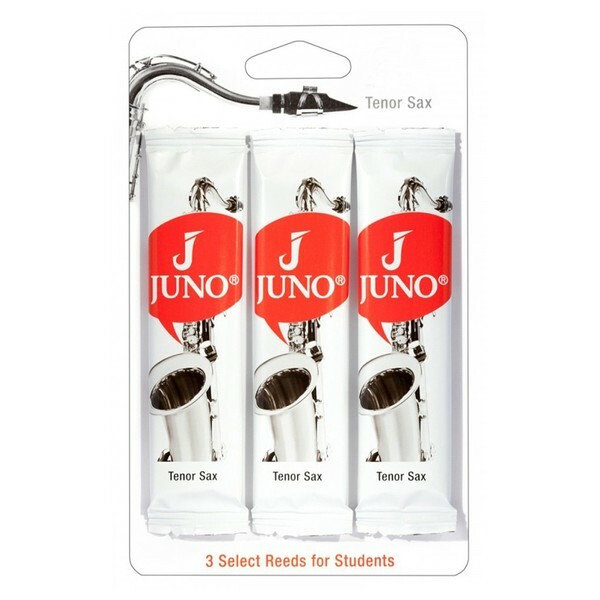 The Vandoren Juno Tenor Saxophone Reeds are specifically designed with students in mind. The reeds have an extra responsive cane wood that is more receptive and forgiving, which is ideal for beginner players. The specific cut shape is designed to make the right sound easier to achieve. The 2.5 strength is suitable for musicians who have already started playing saxophone and are looking for a stronger reed. The Juno saxophone reeds make achieving the right sound easier than ever before, so you can concentrate more on the song.